It’s time to start planning for summer! Consider joining our San Tan Team of Teachers and Coaches during our 9-week program. Sign up now for your Passport to Summer Fun. Experience our San Tan Montessori “Ocean” themed camp where students will explore sea life, plant life, music and movement, art, cuisine, and water play. Offered to students ranging from Toddler to 7th grade. 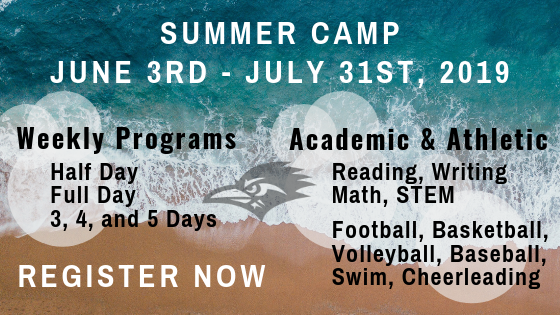 Keep your brain sharp through our academic camps focused on Reading, Writing, Math, and STEM. Improve your athletic skill with our team of coaches. Football, Basketball, Volleyball, Swim, and Cheer are all offered this summer. Visit our Summer Camp page for all the details. Register by April 30th to Reserve Your Spot.